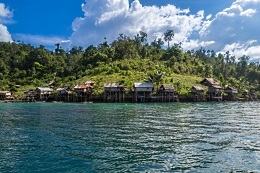 Papua Explorers Resort enjoys an enviable position in the heart of Raja Ampat, only a short boat ride from some of the area’s most famous dives sites. 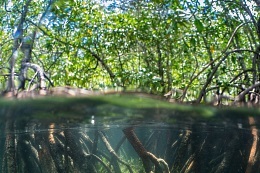 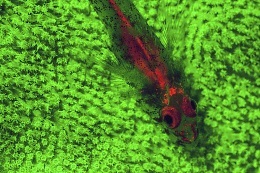 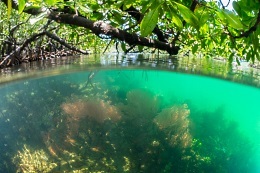 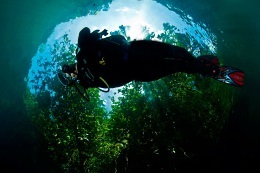 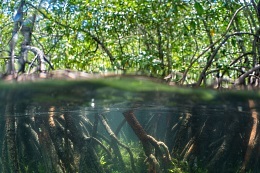 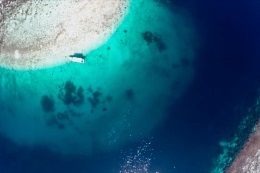 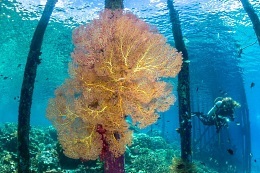 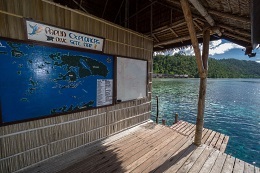 This region is fast gaining a reputation as an up and coming frontier diving destination. 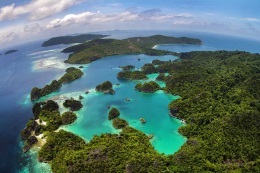 This really comes as no surprise, given the islands remoteness and striking natural beauty. 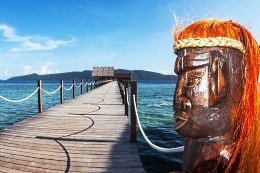 Between the lush rainforest behind and the stunning water bungalows to the front, Papua Explorers offers guests the full Papua experience. 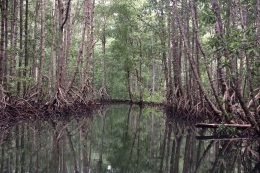 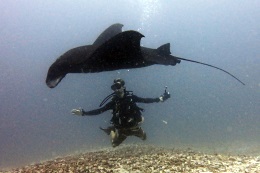 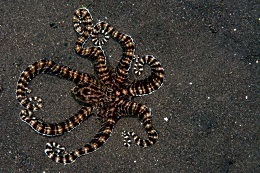 This a resort for divers who are serious about nature and really want to get away from it all. 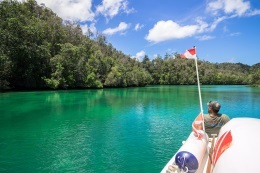 Papua Explorers is 2½ hours boat ride from the mainland and is only accessible by sea so there is a real desert island vibe when you get there. 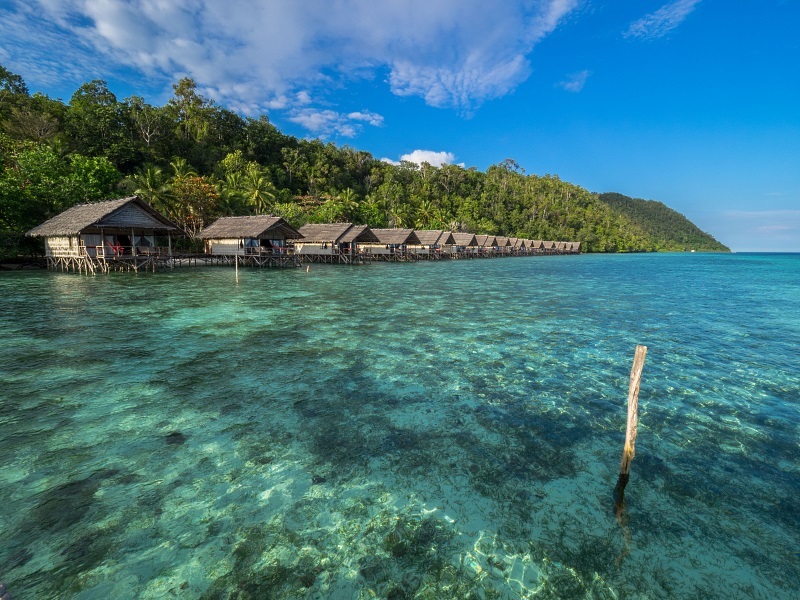 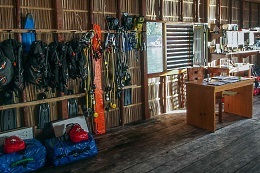 Don’t expect a basic set-up though, Papua Explorers may have that laid back, natural feel but the facilities are more than a match for any boutique resort. 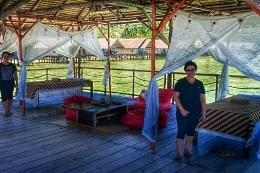 The staff are a delightful mix of local and international people who offer the traditional warm and friendly Indonesian service. 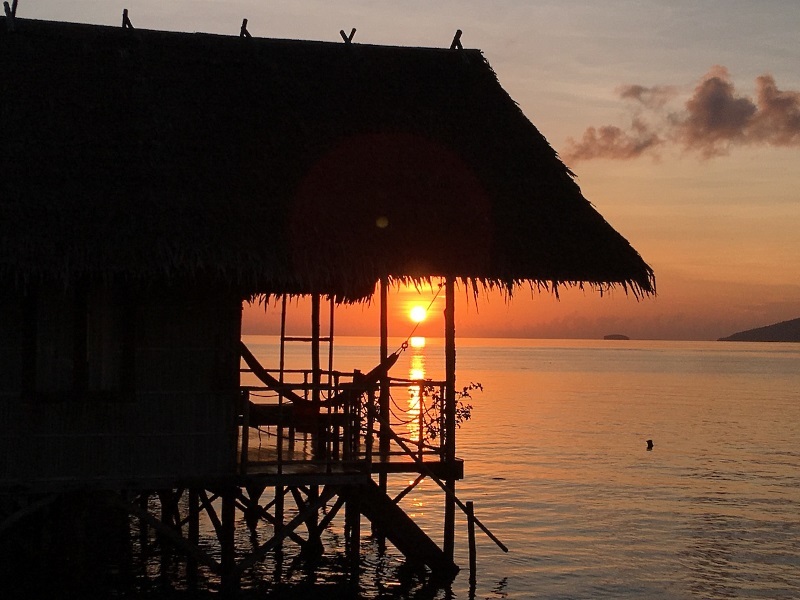 The first thing guests might notice is that most of the resort is out on the water, so your sea views are all but guaranteed. 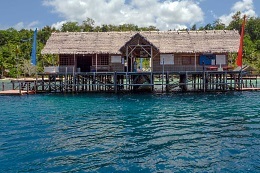 The water bungalows are all on stilts, meaning you can just pop off the jetty in front and snorkel along the house reef. 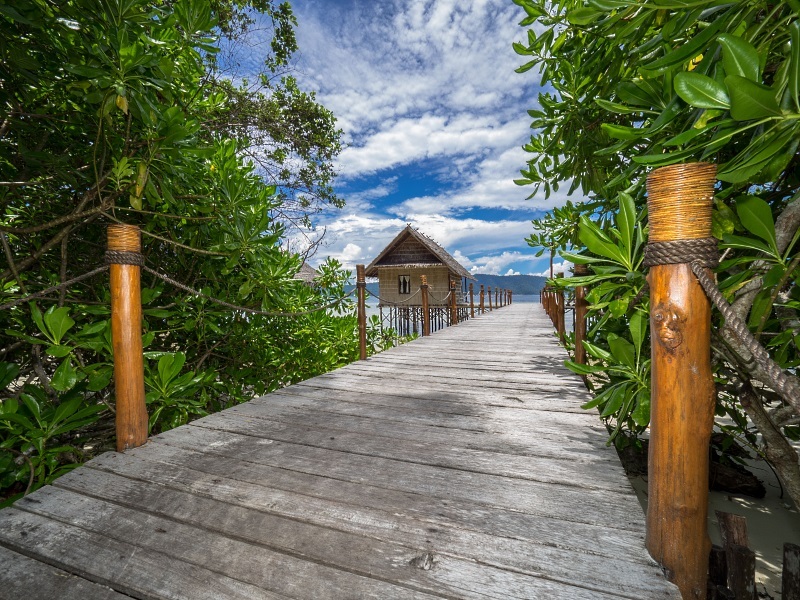 The spa is also on the jetty allowing you to enjoy the sights and sounds of the sea along with a traditional local massage from the professional in-house massage therapists. 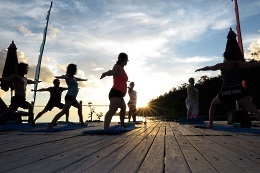 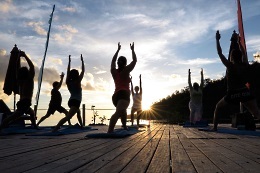 Their in-house yoga instructor also offers daily sessions out on this jetty to recharge in the morning. 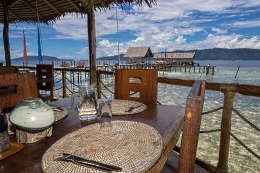 The resort restaurant is at the end of the jetty, for the very best views. 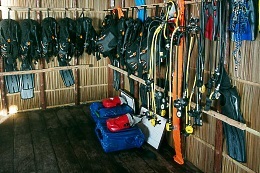 The restaurant dining is buffet style and there is plenty of it with snacks and a tea break in between dives as well. 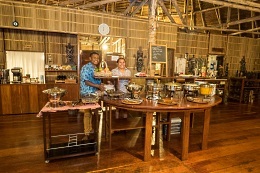 The meals are a mix of traditional Indonesian dishes and more international options as well. 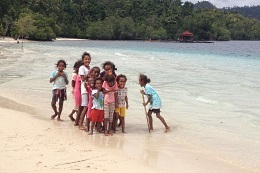 They are always happy to provide for any dietary requirements but be sure to let them know in advance as the island is very remote. 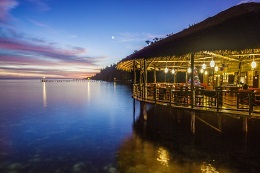 Coffee and tea are available all day, perfect for sipping in the lounge area of the restaurant. 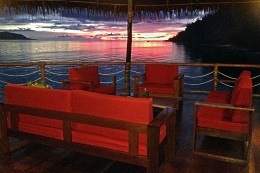 There is also a beer fridge and soft drinks to enjoy with the spectacular sunsets. 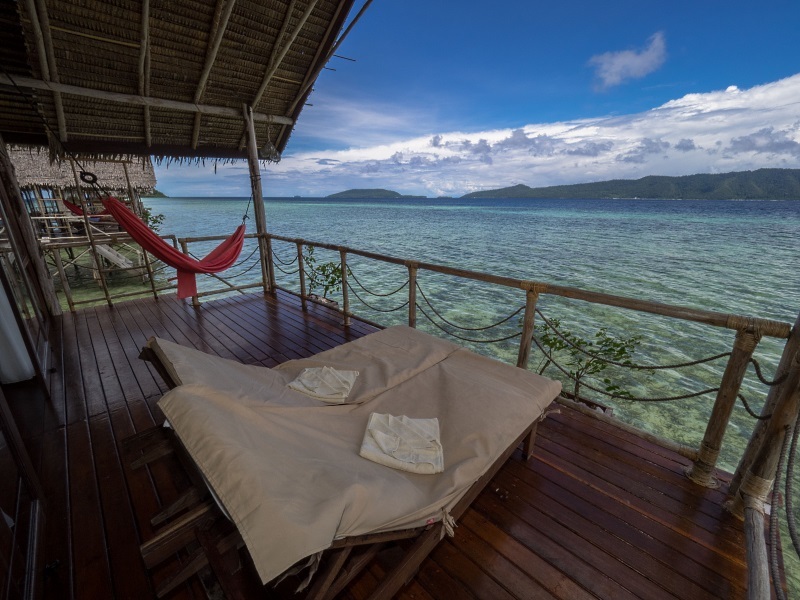 For a little more privacy, all the water bungalows enjoy their own private terrace with seats and a hammock to take in the views. 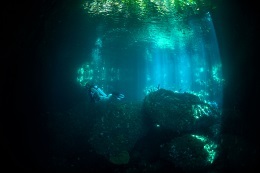 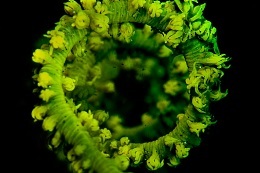 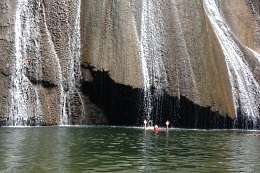 Many natural wonders to explore. 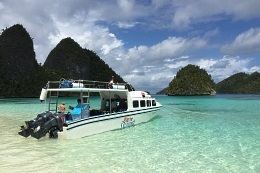 With some of Raja Ampat’s best dive sites so close by, diving and snorkelling are definitely the favourite activities here. 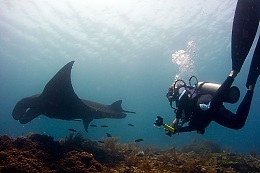 Manta Point and The Passage are both less than an hour away by boat, both are home to beautiful reef life and great pelagic action. 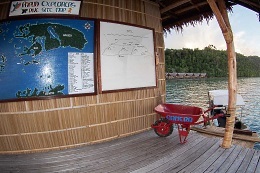 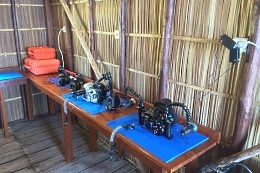 Diving courses are also available with their five-star PADI resort which offers instruction in various languages. 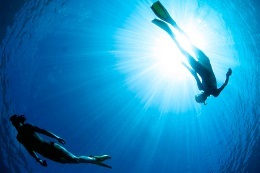 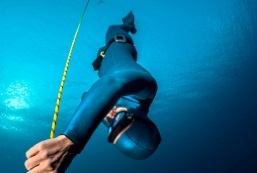 Freediving is also a popular activity and the resort not only offers freediving packages but SSI certified courses too. 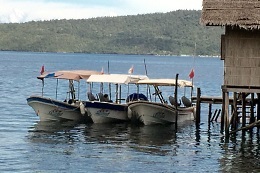 For non-divers or even just those who fancy exploring above the water a bit too, local nature trips to see the unique red birds of paradise and curious cuscus are available from the resort. 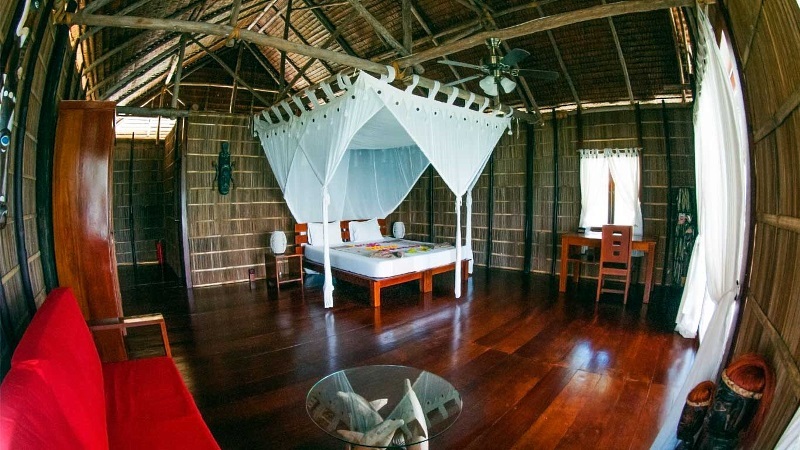 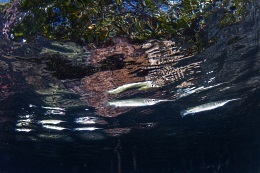 This is a resort where conservation is at the forefront of the staff and owner’s minds. 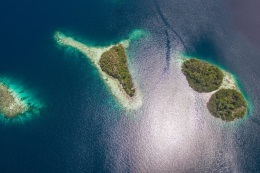 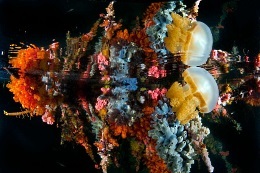 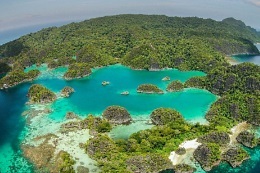 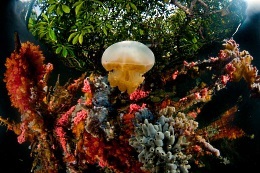 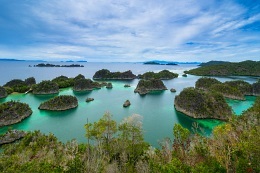 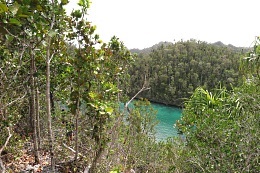 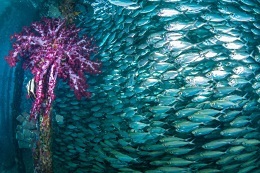 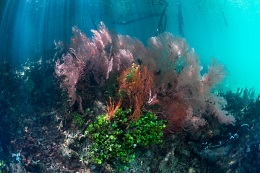 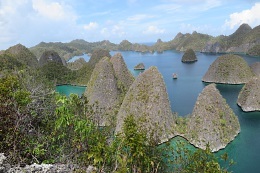 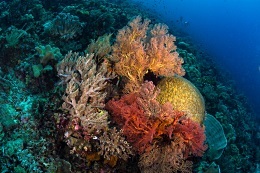 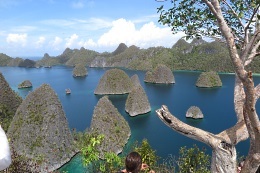 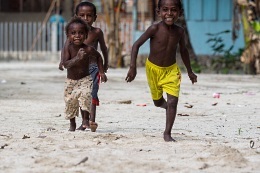 Papua Explorers resort has founded its own non-profit group SEA Centre to promote the preservation of Raja Ampat. 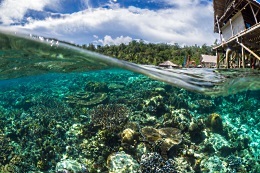 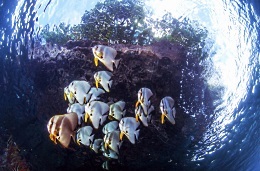 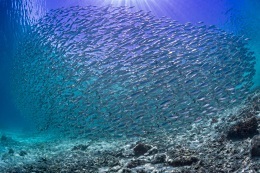 The name stands for Science, Education and Awareness, which the group uses to educate visitors and local people about the importance of conserving the reefs and marine life of the area. 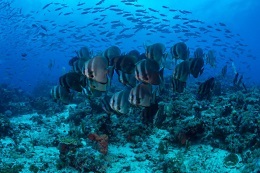 Their reef restoration projects, ranging stations and megafauna databases are all vital to the protection and development of the area. 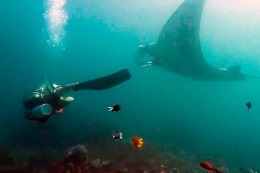 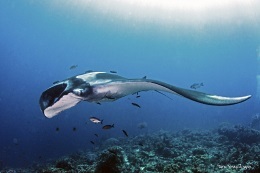 As a result, guests shouldn’t be surprised if they bump into manta researchers and conservation experts around the resort. 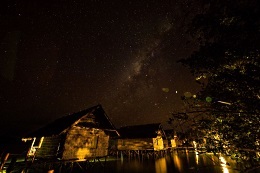 Papua Explorers was entirely constructed of local materials and wood for sustainability. 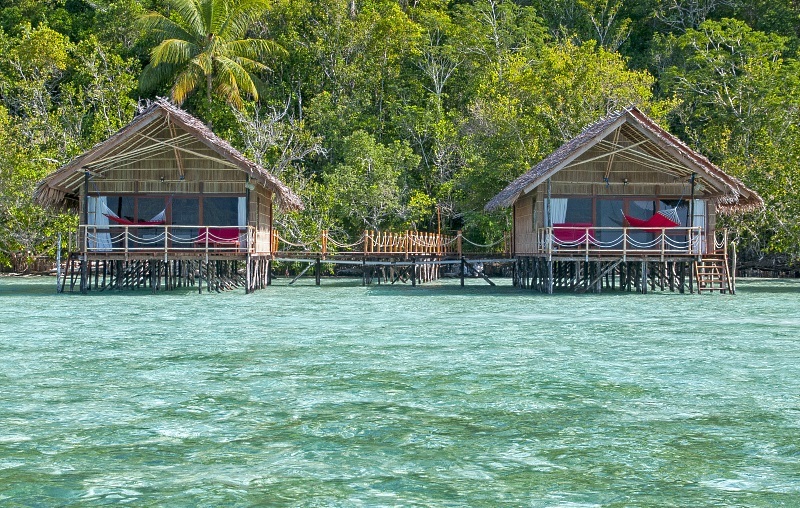 The water bungalows are very spacious with around 72 square meters each and are decorated in traditional Indonesian style. 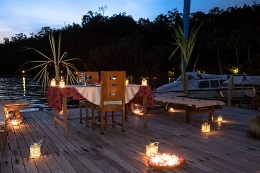 They have all the amenities you might expect as well as a beautiful terrace with steps down into the ocean. 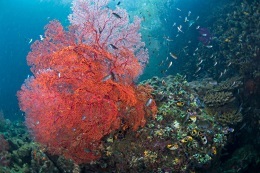 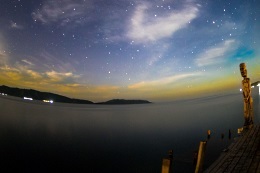 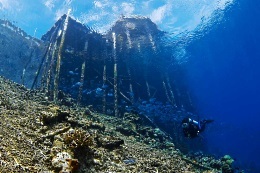 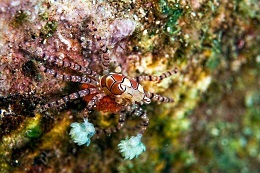 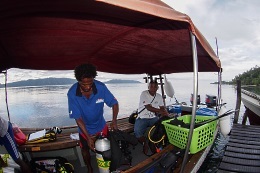 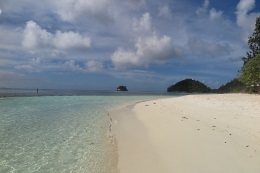 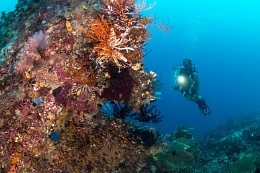 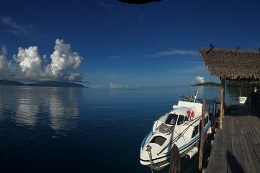 This resort brings divers to Waigeo Island Area. 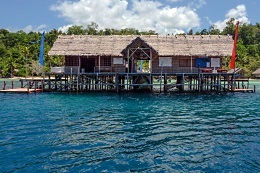 Papua Explorers was entirely constructed of local materials and wood for sustainability. 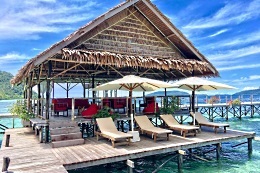 The water bungalows are very spacious with around 70 square meters each and are decorated in traditional Indonesian style. 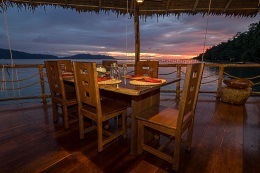 They have all the amenities you might expect as well as a beautiful terrace with steps down into the ocean. 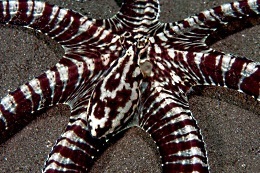 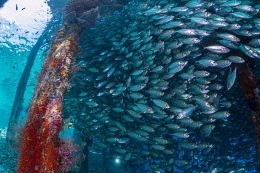 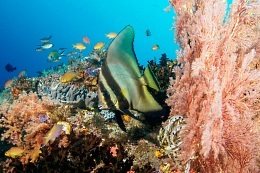 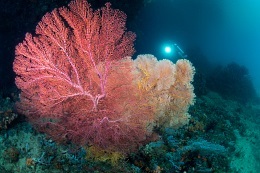 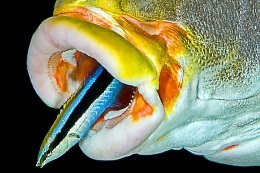 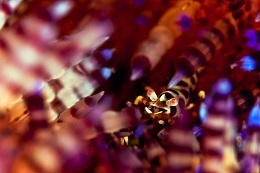 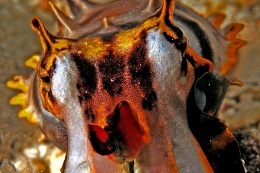 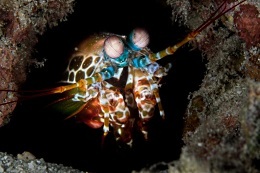 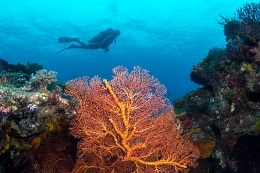 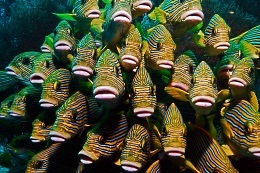 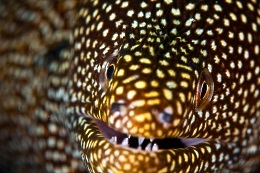 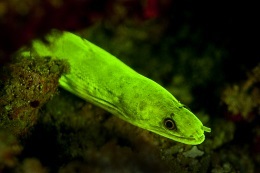 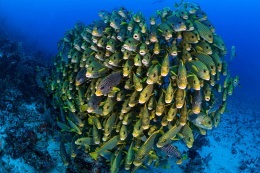 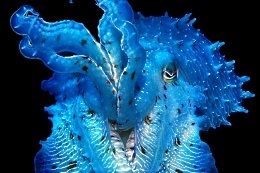 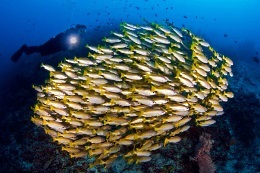 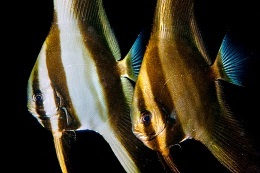 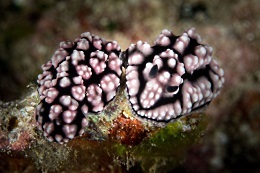 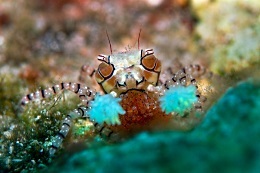 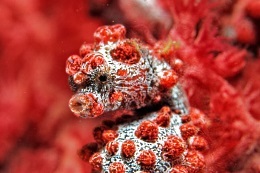 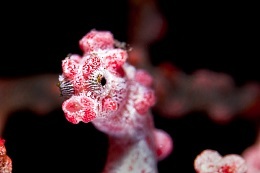 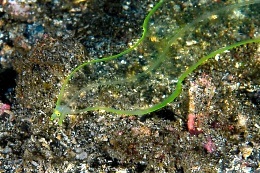 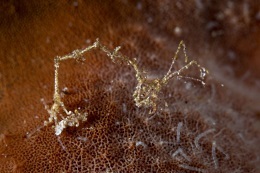 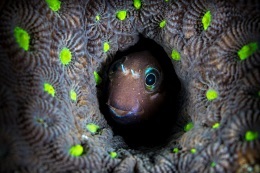 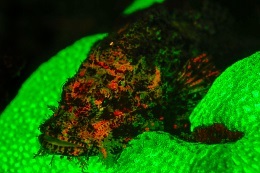 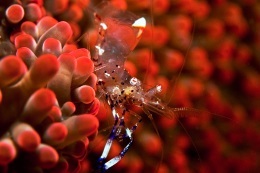 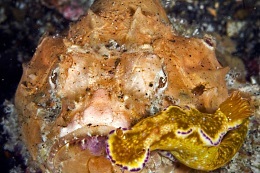 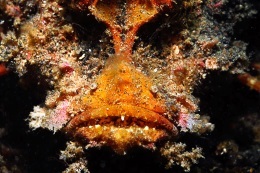 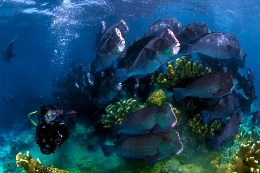 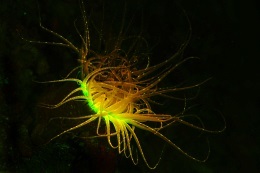 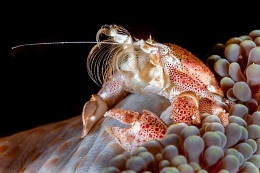 From $2,643 per diver twin share for 8 days 7 nights. 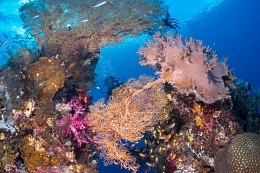 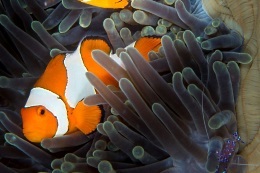 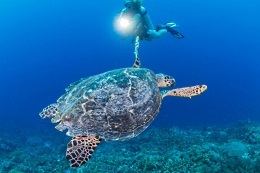 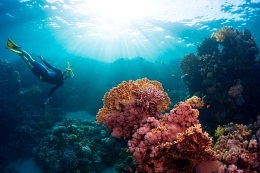 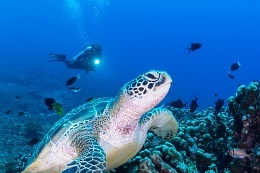 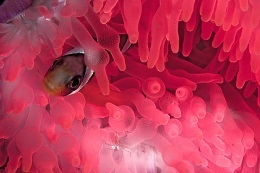 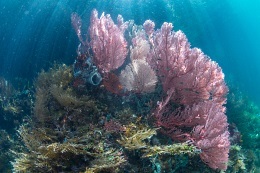 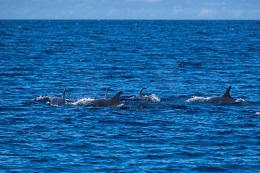 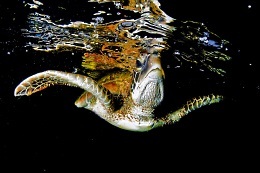 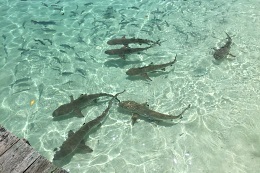 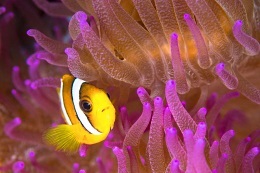 From $1,856 per non-diver twin share for 8 days 7 nights. 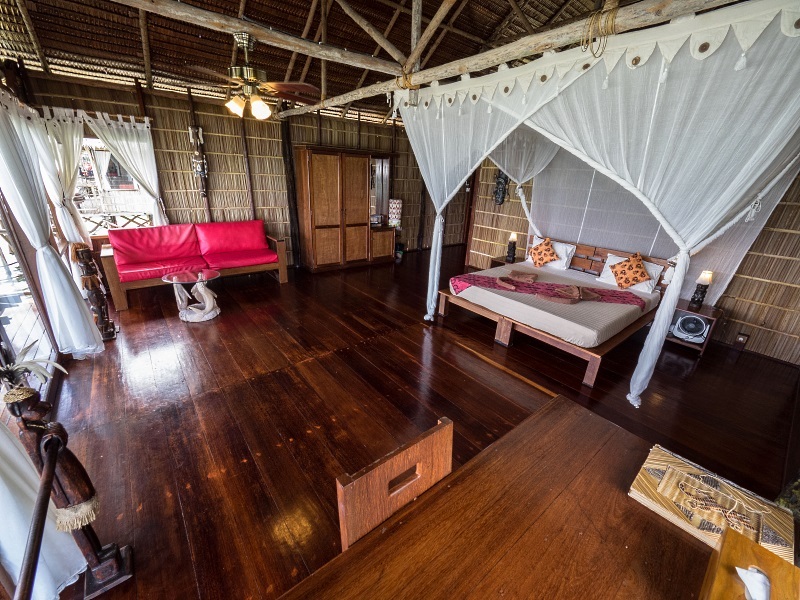 The Superior Water Cottage is a slightly smaller version of the Deluxe Water Cottage at 55 sq m (592 sq ft) of which there are only 2 units available. 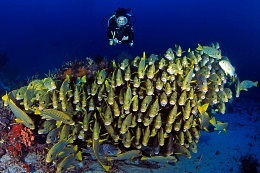 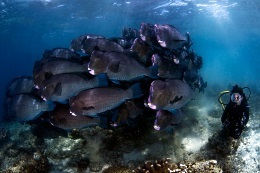 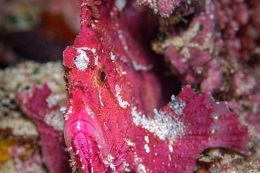 From $2,530 per diver twin share for 8 days 7 nights.